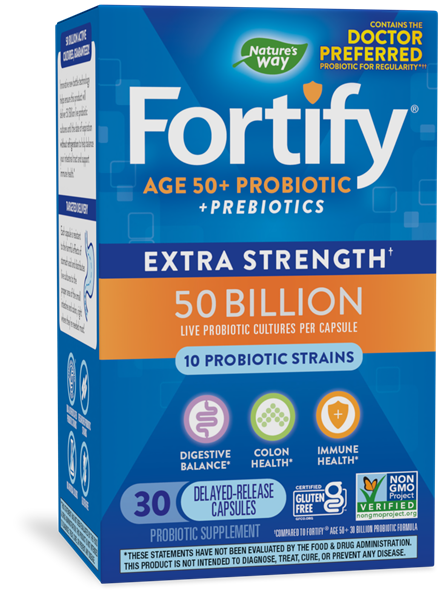 Fortify™ 50+ 50 Billion Probiotic - Nature's Way®. Bl-04® and Bi-07® are trademarks of DuPont. In the USA, NCFM® is a trademark of the North Carolina Agricultural Foundation, Inc. NCFM®, Bl-04®, and Bi-07® are used under license.